Joy Reilly, born in Dublin, Eire, and raised in England, joined the Department of Theatre faculty in 1985, after earning a doctoral degree from the department in 1984. She is a director, actress, historian and writer, who worked as a journalist and copywriter in the international corporate arena in London, and Frankfurt, Germany, before coming to America. Professor Reilly has written several introductory theatre texts, most recently Introducting Theatre 3rd ed (FORBES 1998) with M. Scott Phillips, and The Introduction to Theatre Workbook 4th ed (FORBES 1998). She has been honored with the 1995 Distinguished Teaching Award at OSU for her leadership of the Introduction to Theatre course, the largest program of its kind in the country. She conducted a tour of OSU Honors Undergraduates to London in 1997. Professor Reilly also advises masters and doctoral students in history, literature and criticism, with a particular interest in the history of performance, and in the contributions of 19th Century women. She has taught seminars in acting and directing theory, contemporary literature, history of acting, creative writing for solo performance and, in Autumn 1998, is offering a seminar in 20th Century Irish Dramatic Literature and its Celtic influences. Among the plays she has directed for OSU are Once A Catholic, Female Transport, Twelfth Night, Romeo and Juliet, Ourselves Alone, Our Country's Good, Mad Forest, and The Complete Works Of William Shakespeare (Abridged). She has performed at OSU in Lion In Winter, Private Lives, A Taste of Honey, Richard III, Auntie Mame, The Three Sisters, The Seagull, La Ronde, A Pagan Place, and Dancing at Lughnasa. Professor Reilly currently serves as chair of Senior Adult Theatre for ATHE's focus group on Senior Theatre and helped to inaugurate the bi-annual national Senior Theatre USA convention for older actors. The next convention will be co-hosted by the Walt Disney organization in Orlando in January 1999. 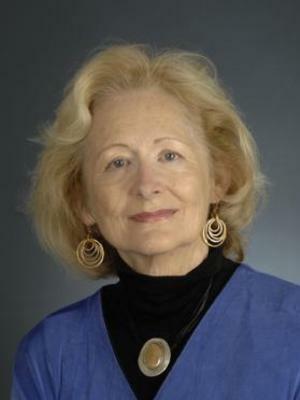 She is active nationally and internationally as a consultant for Theatre and Aging and will host the first international conference of older actors at OSU in August 2001. She founded Grandparents Living Theatre, (an internationally known company based in Columbus) in 1985 and served as its Artistic Director through March of 1998. Professor Reilly has conceived, written and directed eight original playscripts out of oral history including the Emmy-award-winning I Was Young, Now I'm Wonderful, and A Picket Fence, Two Kids, and a Dog Named Spot? Professor Reilly is currently pursuing research in Irish and Celtic studies and in the creation of original scripts for solo work. She has also served as Theatre Critic for WOSU (PBS) Radio in Columbus since 1978, and provides opportunities for graduate students to write and broadcast radio reviews.